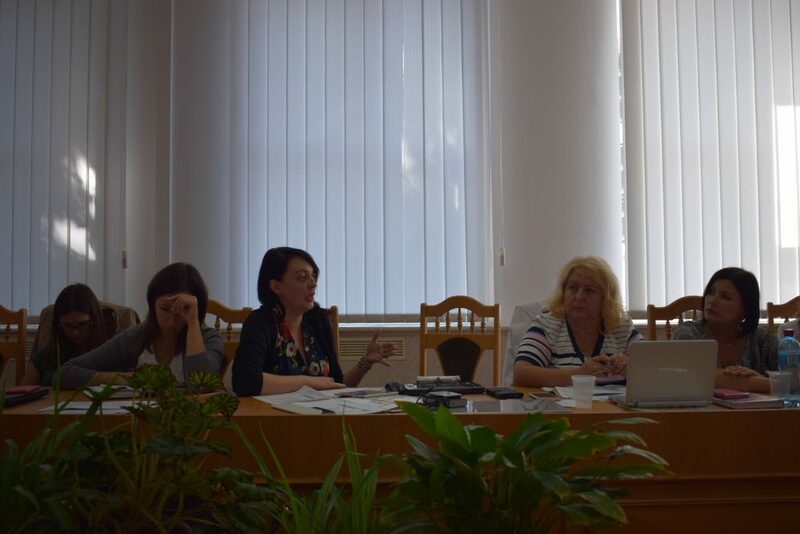 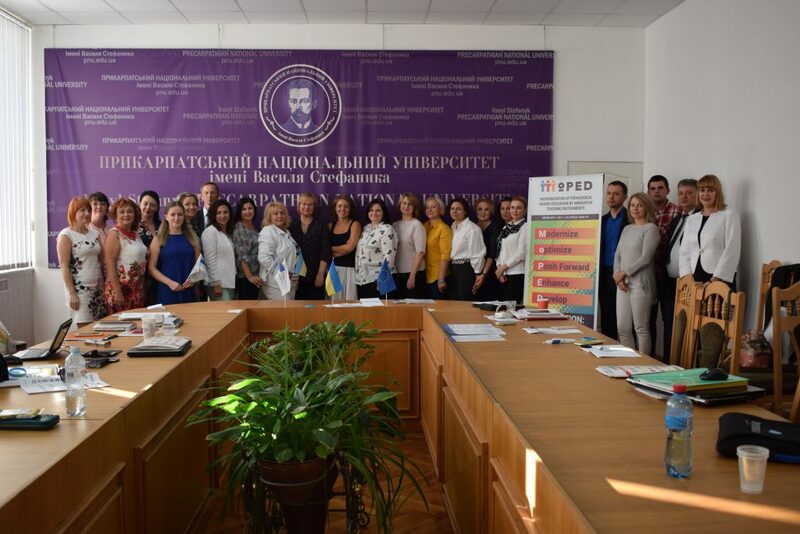 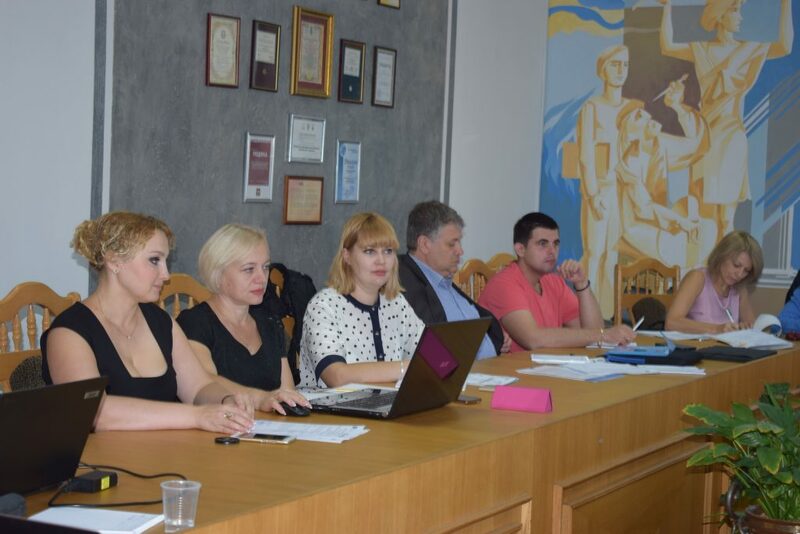 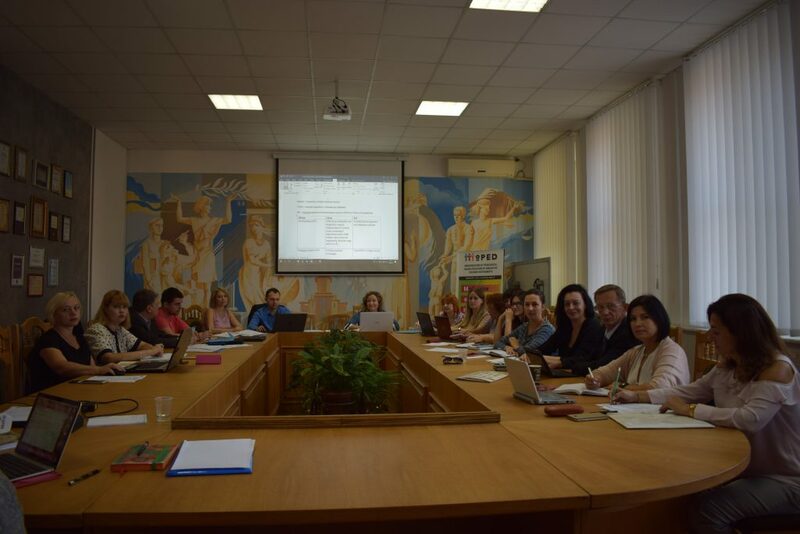 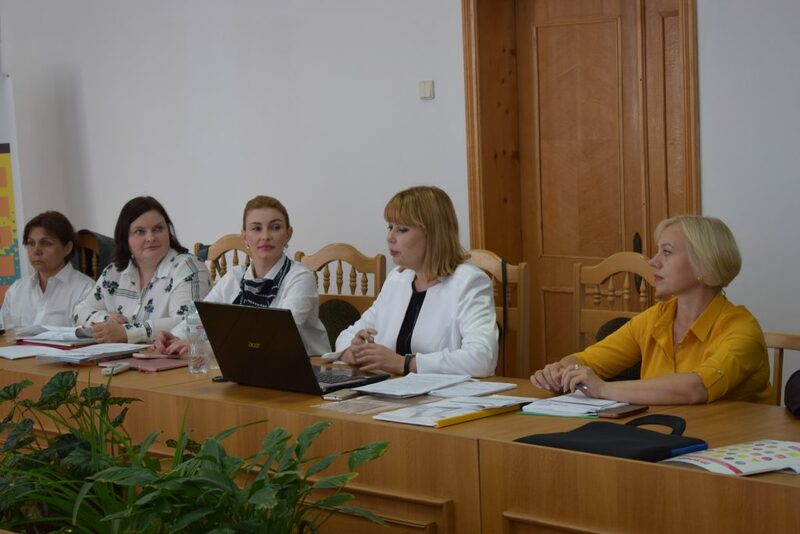 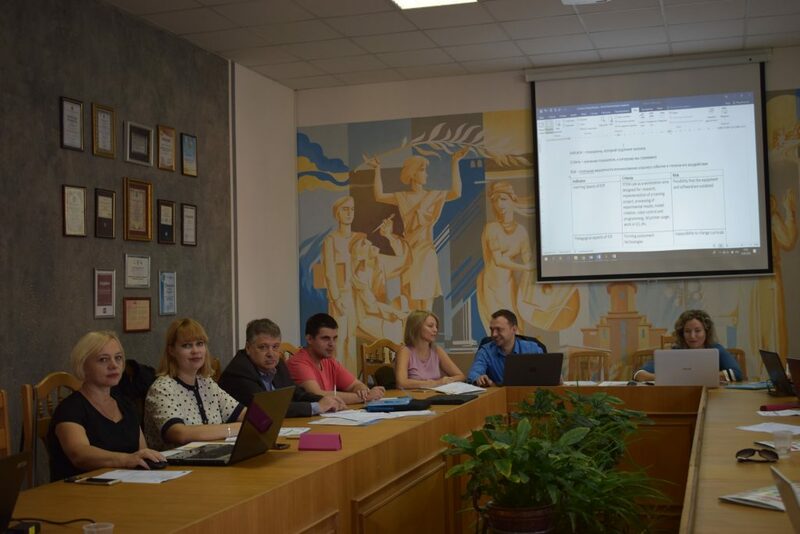 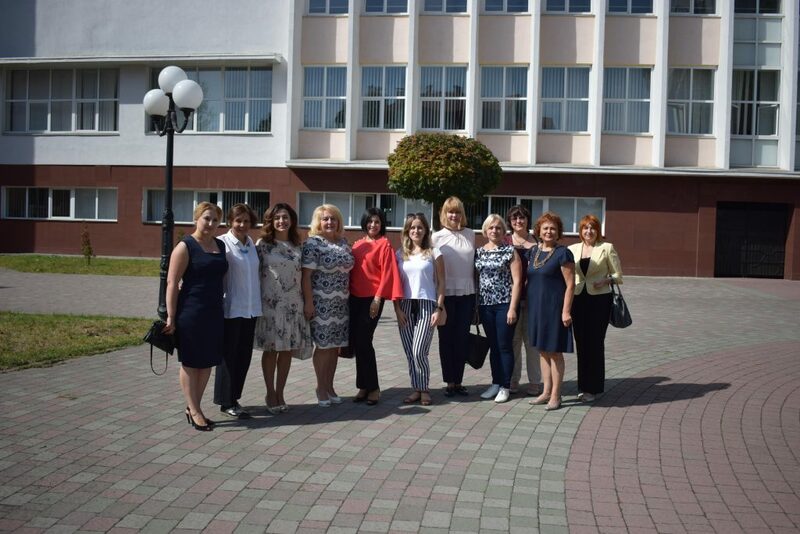 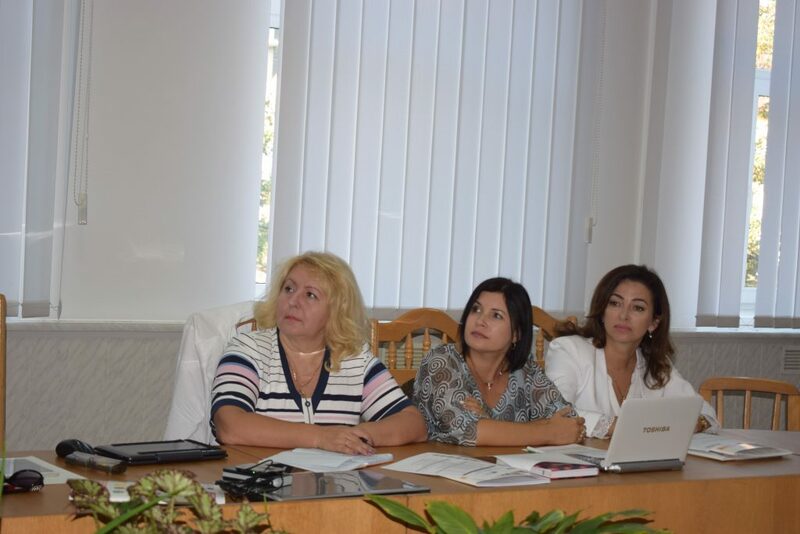 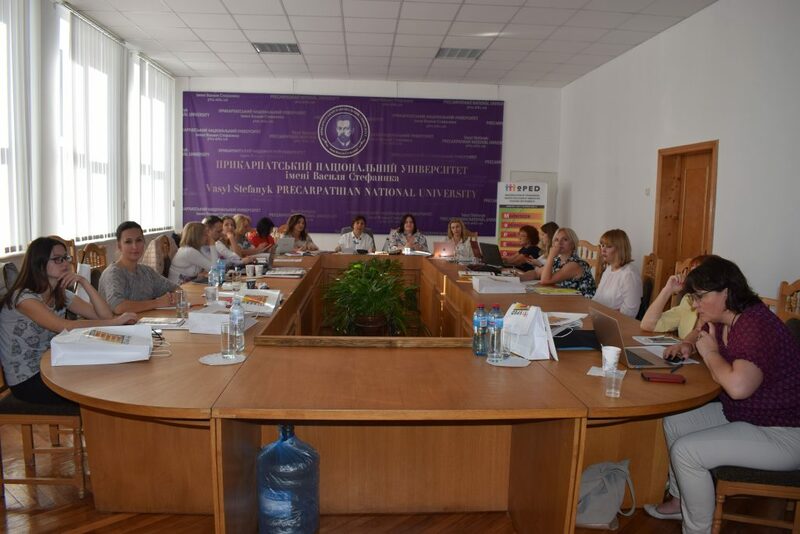 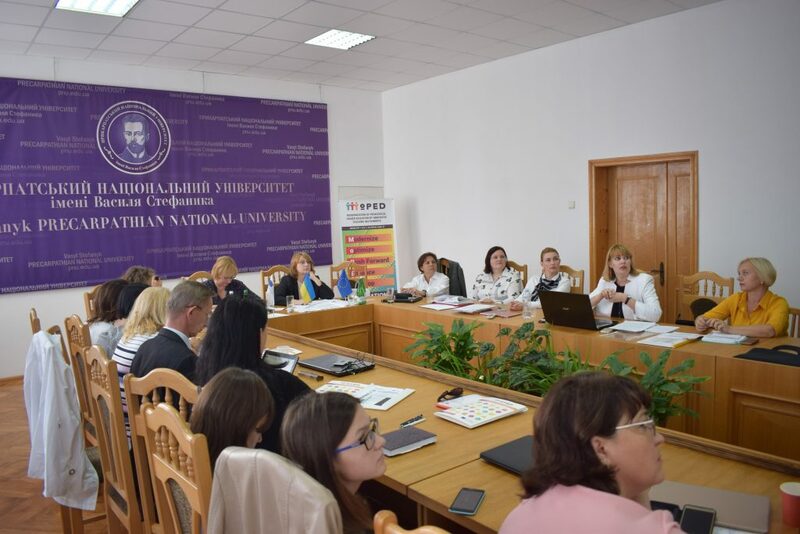 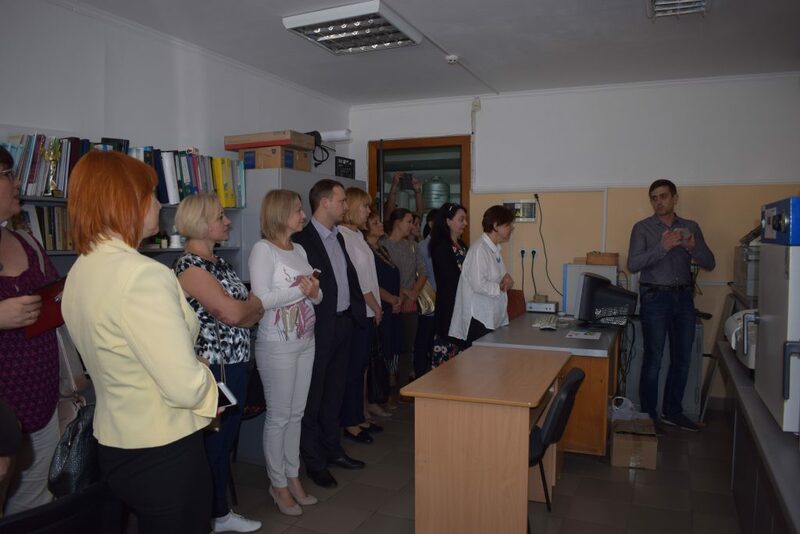 On September 17-19, 2018, Vasyl Stefanyk Precarpathian National University hosted a meeting of the consortium working groups and advisory project with the participation of representatives of the National Erasmus + office Svitlana Shitikova and Zhanna Talanova and the European Commissioner for the Executive Agency for Education, Audiovisual and Culture Belen Ensiko. 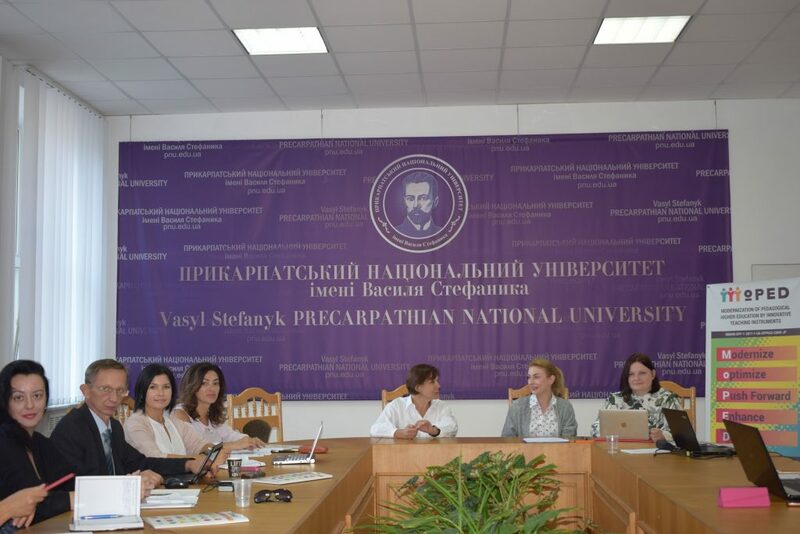 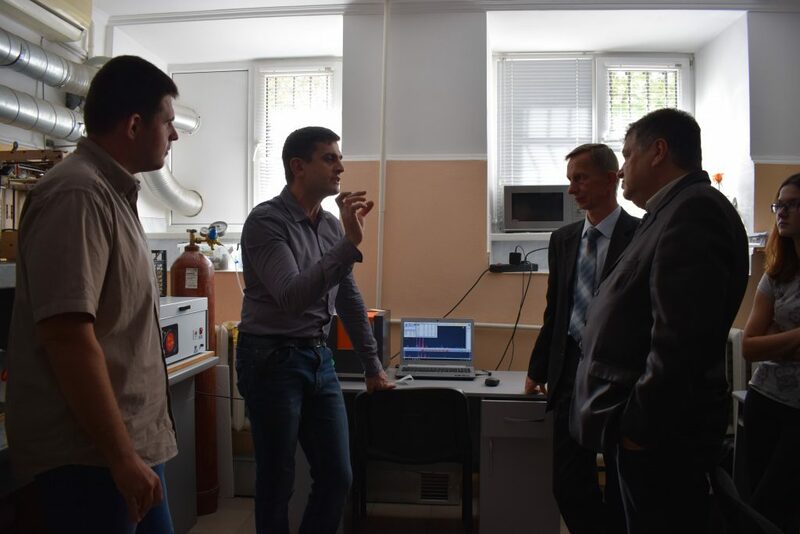 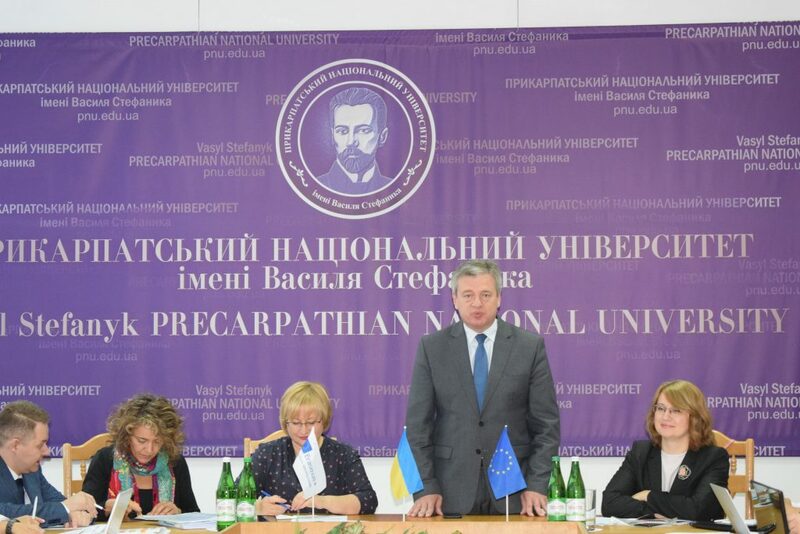 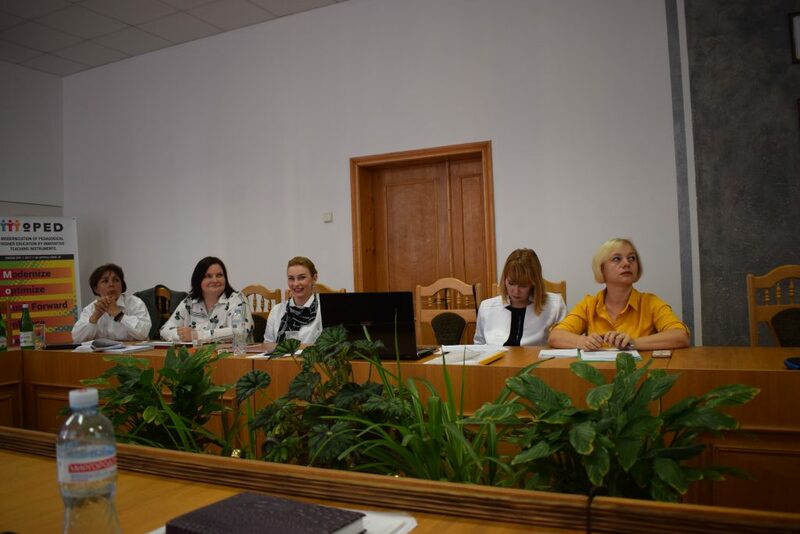 During the working meeting, the rector of Vasyl Stefanyk Precarpathian National University Ihor Tsependa congratulated all the participants and noted that, in current conditions, the realization of this project is, above all, very important for our domestic universities. 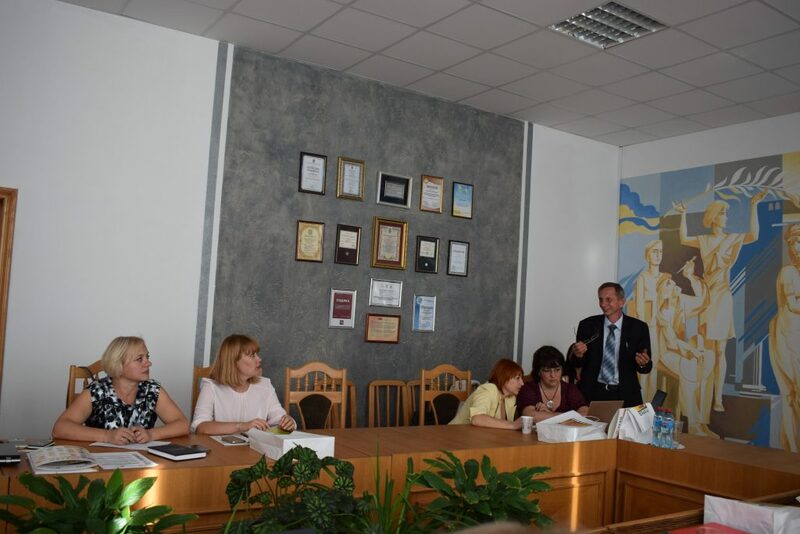 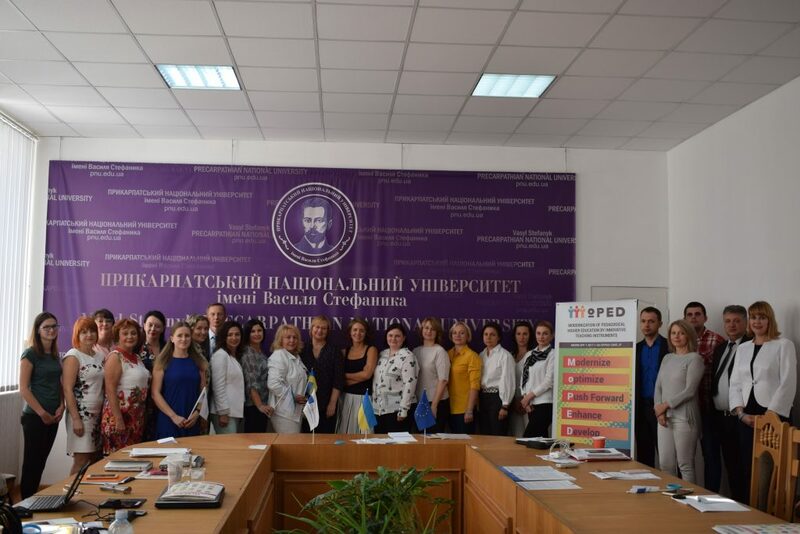 In the context of implementation the concept of new Ukrainian school, the mission of higher educational institutions, in particular, within the framework of the MOPED project, is, on the one hand, in the training of students who will be teachers of the new Ukrainian school tomorrow, and on the other hand, the extensive retraining of Ukrainian teachers who are already working in these schools. 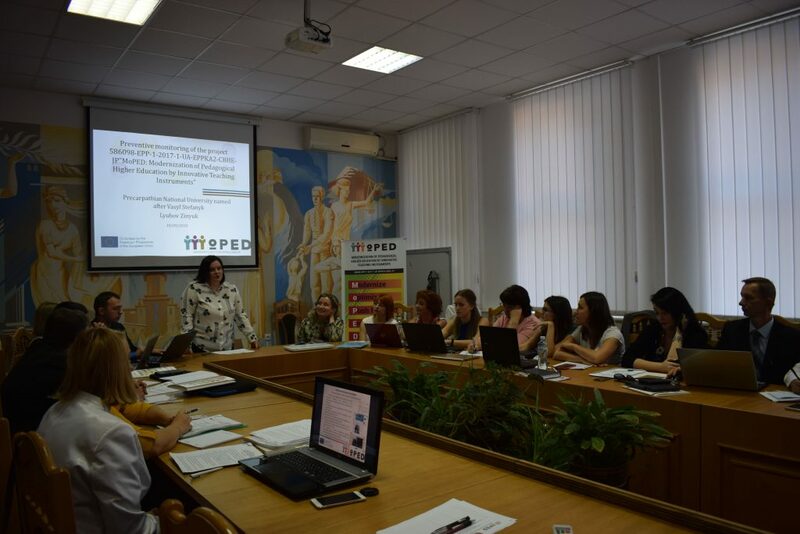 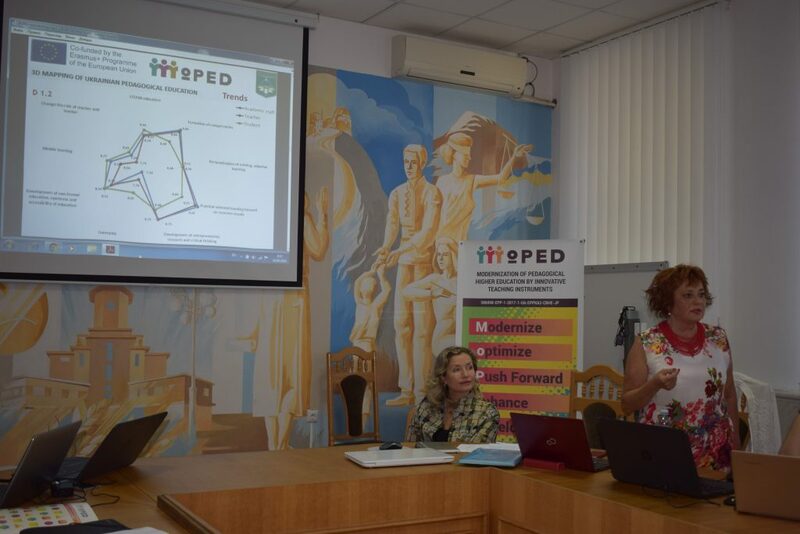 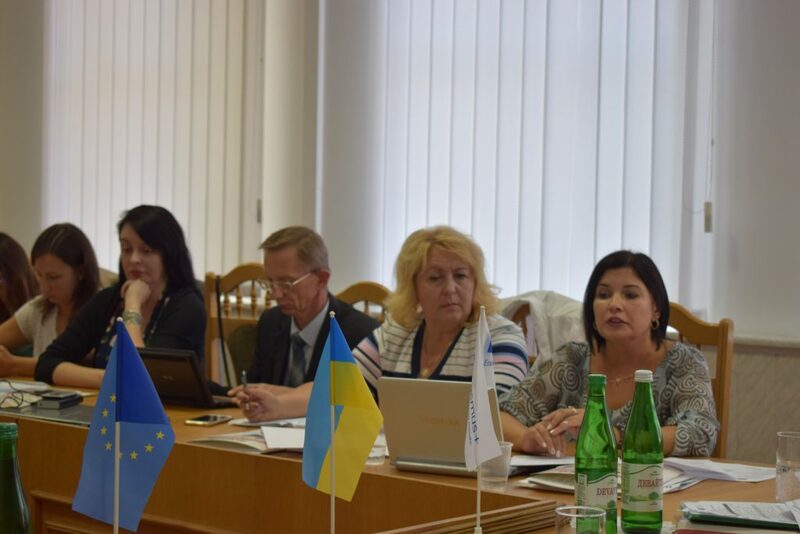 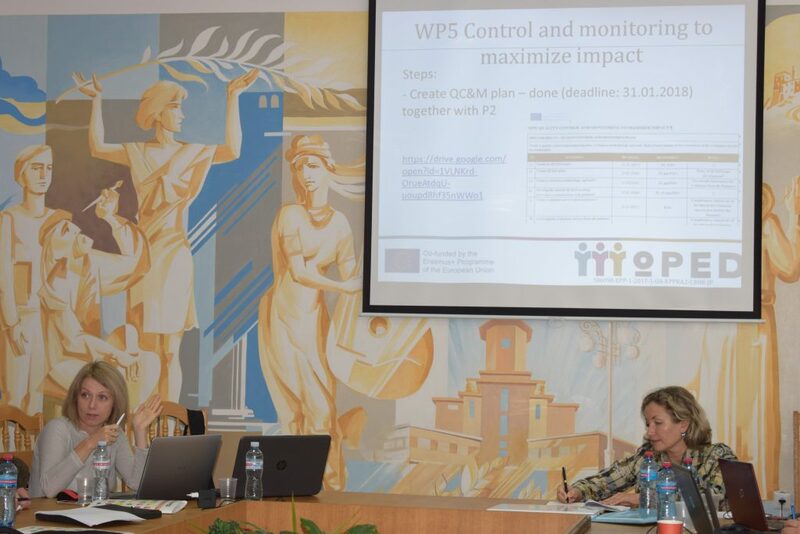 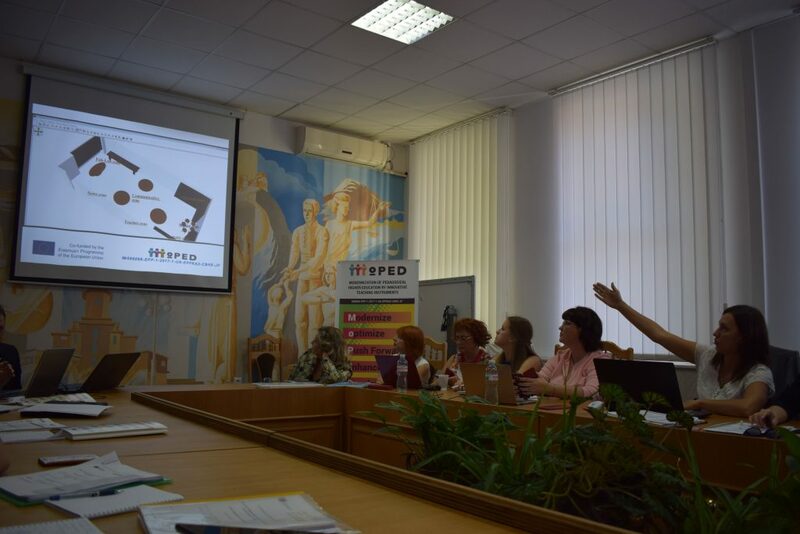 The MoPED Project Coordinator Lyubov Zinyuk noted that at this stage, with the support of the national Erasmus + office in Ukraine, the Ministry of Education and Science of Ukraine and the active participation of partner universities, the project is successfully implemented in accordance with the working plan. 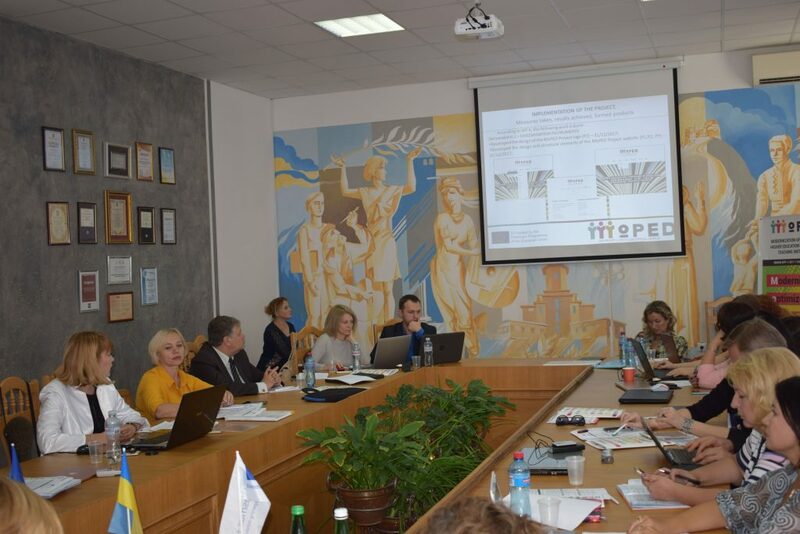 This was confirmed by the interim results of the project by working groups participants of domestic partner universities and received approval from the representatives of the National Erasmus + office and the European Commissioner for the Executive Agency for Education, Audiovisual and Culture. 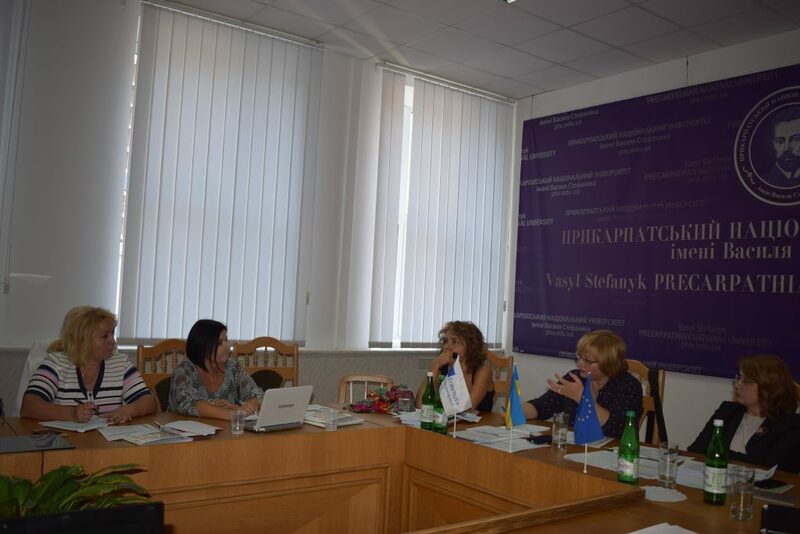 In addition, during the meeting the report on the results implementation of the WP1 Work Package “EU and UA Pedagogical Higher Education profound analysis and study” was heard, the partners discussed the concept of ICR, presented by each partner university on the topics of training courses and their focus on the preparation of future teachers of the new Ukrainian school, the urgent issues concerning implementation of the sustainable development plan of the project were considered.